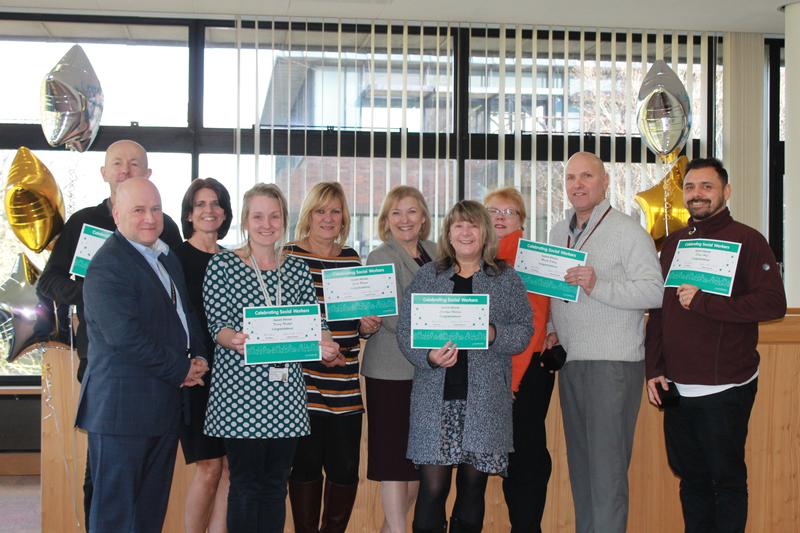 Six Worcestershire social workers have been recognised with awards for their outstanding work, during Worcestershire County Council's Celebrating Social Workers Week. Celebrating Social Workers Week is returning for a second year, dedicating a week to recognising the achievements of everyone who works within social care. Three children's social workers and three adult's social workers were selected by their managers to receive the awards for their excellent work in their fields. Winners from children's services were Kerry Nicholl, Dean Arif and Sara Brown. Adult's social workers who won the awards were Mark Killey (social care worker), Carolyn Holden (Advanced Social Work Practitioner) and Jason Marshall (Senior Best Interests Assessor). Councillor Adrian Hardman, Cabinet Member for Adult Social Care said: "We had our first Celebrating Social Workers Week last year and it was such a success, we wanted to do it again. Worcestershire's social workers are unbelievably hardworking and make a huge impact to many lives across the county. The recognition this week brings of their achievements is well deserved for everything they do to improve the quality of life for people." Dean Arif, Children's Social Worker "I didn't really expect to get this award, there's so much involved with social work that it's nice to be recognised for what we do. I think it's exceptional for the county, and for the individual to do events like Celebrating Social Workers to recognise our hard work." The launch and awards event took place on Monday 28 January at County Hall in Worcester, with Dr Neil Thompson who delivered a keynote speech about what it means to be a professional. A number of workshops will follow throughout the week delivered by local practitioners. Worcestershire County Council employs more than 370 social workers who work together to improve the lives of Worcestershire's children and young people and adults with care and support needs.